GPA is plugged into social media. Find out the latest on this site or from your favorite social media on your mobile. The new 180-megawatt power plant is crucial for Guam’s sustainable energy requirements. The $400 million investment will be located in Dededo. Replaces the two power Cabras plants left inoperable by the explosion and fire of August 2015. Allows for retirement of Cabras 1 and Cabras 2 plants. Allows integration of existing solar photovoltaic sources of renewable energy and an additional 130 megawatts from planned solar photovoltaic farms. 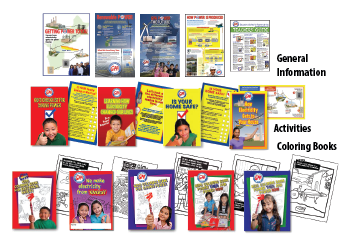 Complies with federal environmental standards. 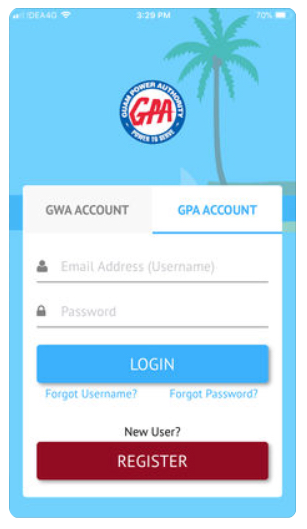 Here’s another convenient way to pay your GPA or GWA bill. Visit the Apple App Store from your iPhone to get the free Pay GPWA app. Android users can get the app here. Want To Know How Much Power Your Household Is Using? 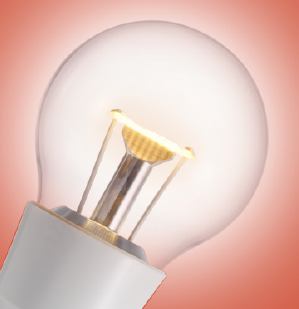 Keep Your Own Energy Costs Down At Home. Before you shop, take a look Energy Sense for the latest rebate offerings from local appliance dealers. How does GPA store power to your home power after major storm? 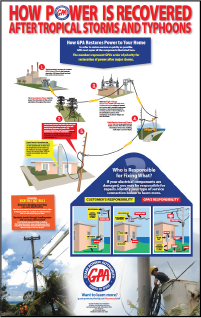 Learn about GPA’s order of priorities in recovering power to our island after tropical storms and typhoons. What repairs are the customer’s responsibility? And what to do to keep you and your family safe from electrocution. Electricity is something we all use every day. The more we know about it, the more “powerful” we’ll be. 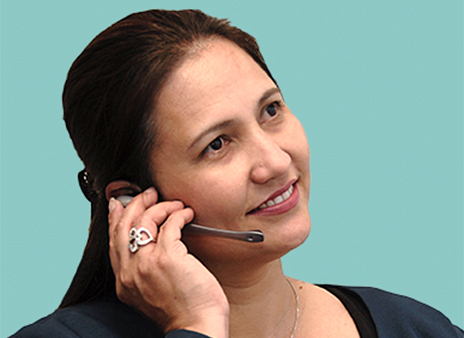 The customer service center in the Gloria B. Nelson Public Service Building in Fadian, Mangilao offers one-stop service for your utility needs. You can start, stop and move services, learn how to monitor the power usage in your household, get a cash rebate for buying an energy efficient appliance, and much more.